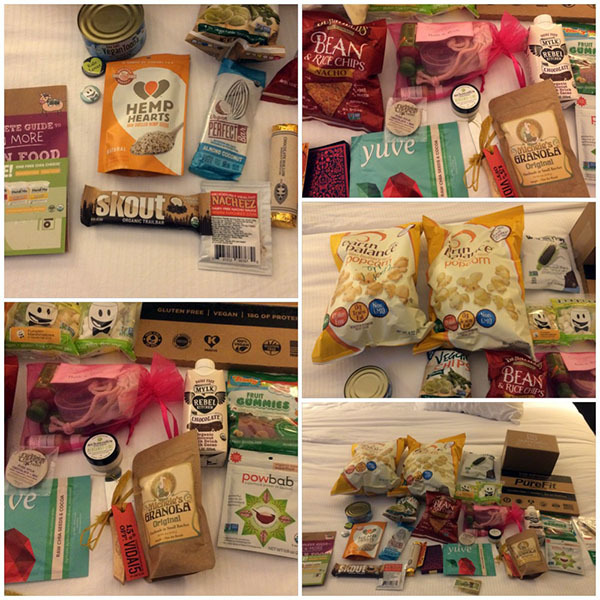 I am still catching up from our fun few days in Austin last weekend for Vida Vegan Con, it was a packed weekend. Saturday, or day two, was the first actual conference day and it was a long day. Somehow, even with jet lag and all the running around Friday, I managed to get up early and hit the hotel gym before getting to the conference at 8:30 am. Still not sure how, but I was proud of myself. 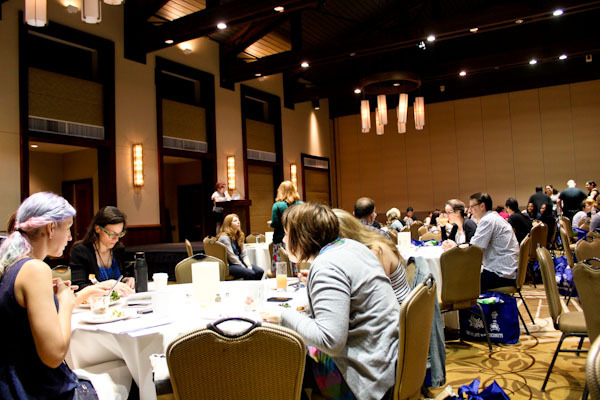 I arrived with enough time to hit the breakfast buffet and mingle with other bloggers in the dining room before starting the sessions. 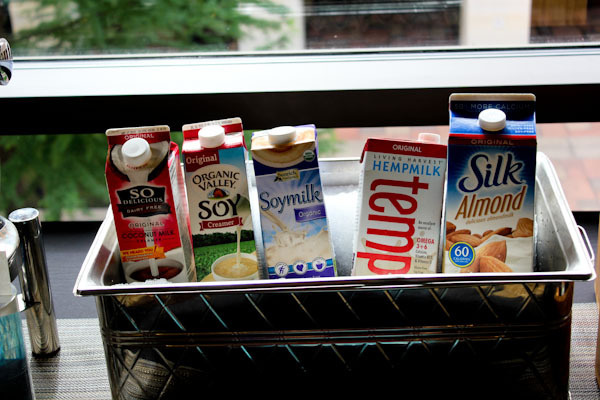 Check out the vegan coffee creamer options! And there were huge bowls of Dandies Vegan Marshmallows to add to your coffee, so delicious and dangerous. 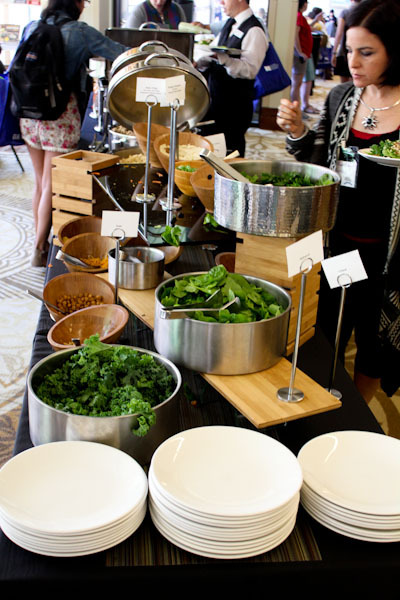 The food spread was really generous with tofu scramble, greens, vegan meat alternatives, Daiya shreds, hot sauces, and other ingredients to load a breakfast taco or breakfast kale salad in my case. 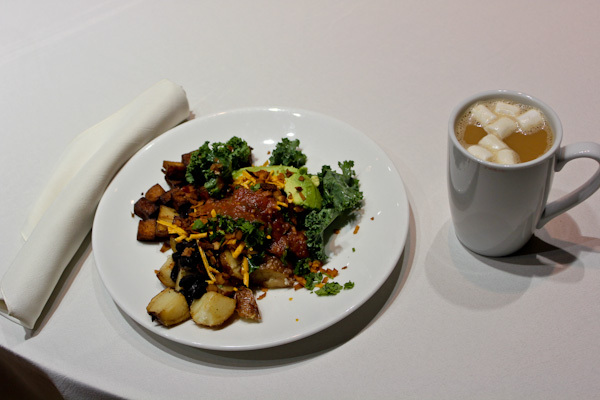 I assembled an interesting looking breakfast plate with kale, potatoes, avocado, Daiya Shreds, and salsa. I’m not good at making pretty plates at a buffet! It was packed for being that early and nice to chat and meet new bloggers, I tried to sit at different tables for each meal to meet new people. Then it was time to decide on and move into the first session. The sessions were a little tough because there were three different sessions to pick from for each time slot and I had a hard time picking just one! It was a choice between listening to Gene Baur speak on a mindful life, health benefits of a vegan diet with Matt Ruscigno, and social media essentials with Jackie Sobon of Vegan Yack Attack. Tough choice, right? Bloggers should use the same username/blog name across different social media platforms if possible. Find platforms that work for your style, skip YouTube if not into videos, etc. Post at least 3 times a day to Facebook page (yikes!). Get and maintain followers on Instagram with consistent likes and comments. I’m not the only one that is not a Twitter fan, but it’s a necessary evil and good for interacting and monitoring analytics for trends. Post frequently – I know, duh. Pinterest is great for food bloggers, but share other posts too. Periscope is all the rage currently so start using it! It was a very informative session that I left feeling a little dizzy. Sure, I got a lot of great ideas to grow my social media outreach, now I just need more time! 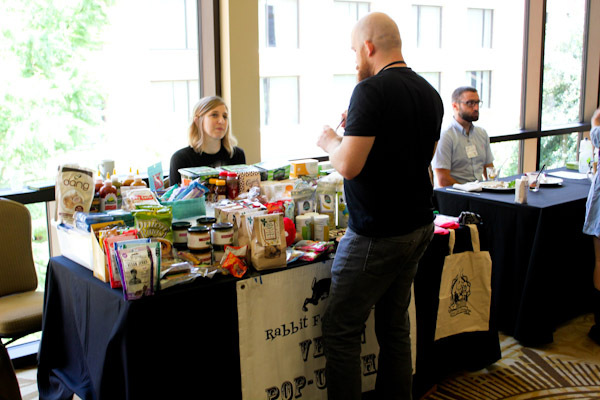 During the breaks between the sessions, we chatted in the lobby and browsed goody tables including a pop up market from Rabbit Food Grocery. 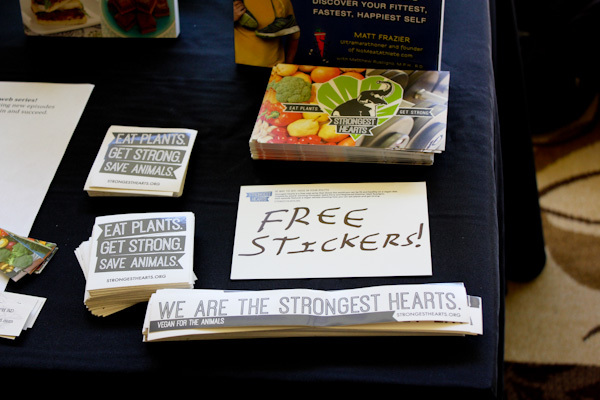 I grabbed a few of these stickers to decorate my water bottles. Master prioritizing your time – easier said than done while juggling a full time job! But something I’m working to get better at. I found myself madly jotting notes from her slides and brainstorming my own ideas during her presentation, it was very invigorating and motivating. 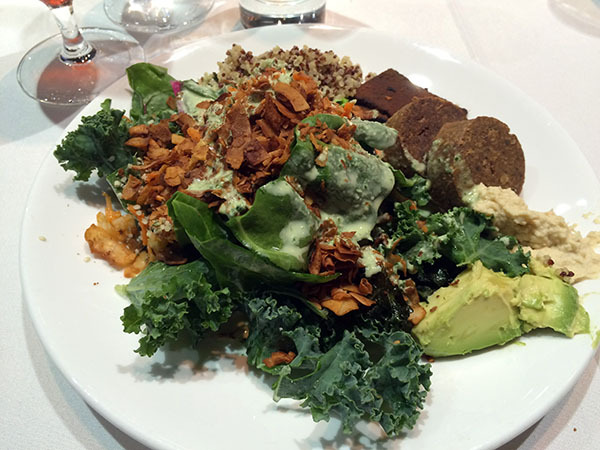 Then it was time for lunch and I can’t pass up a big bowl of kale without loading some onto my plate. I placed some quinoa, Sweet Earth Vegan Bacon, avocado, coconut bacon, hummus, and a spicy avocado dressing. Very filling! 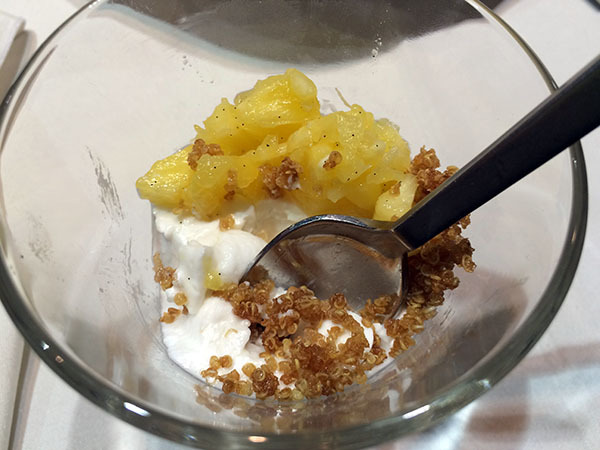 And dessert was fun too – a coconut yogurt cup topped with pineapple and crunchy sweet quinoa which was a fun surprise. Email is a good, less noisy form of marketing not cluttered with social media. Focus on connecting with people and helping others. Get more specific with SEO keywords, “vegan” is too generic and there’s too much competition. Don’t be afraid to get more opinionated. Mix social media posts that give value to your audience with your own content. It was a great panel hearing opinions from bloggers and entrepreneurs with a lot of experience and interesting hearing how their opinions and marketing forms they’ve found success with vary considerably. Next was Michelle Lee’s Branding for Bloggers which talked about logo design, web design, color choices, focusing on strengths, and who your audience is. Great session that resulted in me jotting a lot of notes down. 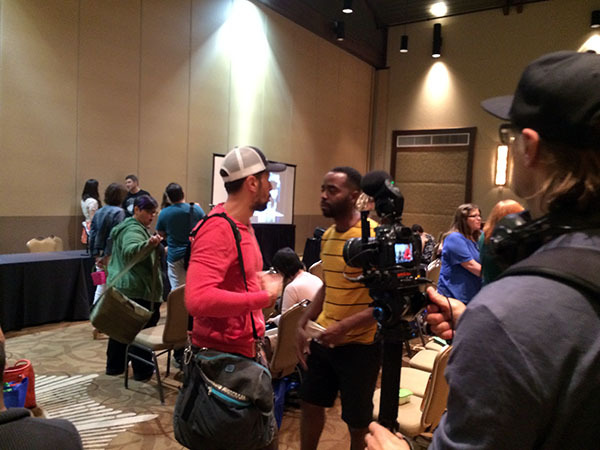 Jason Wrobel was covering the conference with a camera crew interviewing attendees. Sorry, I didn’t do one. And I got a can of this in our swag bag and have not been daring enough to try it yet! And we got a lot of other loot in the swag bag! But 5 PM, a serious thunder storm rolled into the area and we didn’t feel like driving to the after party at Capital City Bakery. I’m kind of glad after seeing the Instagram images of long lines outside in the storm! Instead we walked to El Mercado for dinner after the sushi place I originally picked had too long of a wait. 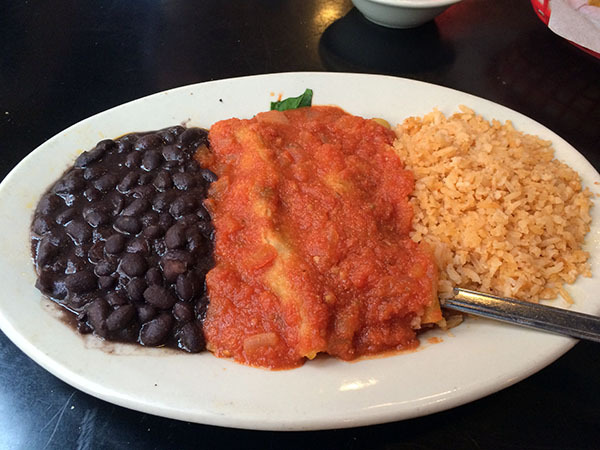 El Mercado has a decent vegetarian menu that’s easily veganizable and a vibrant bar scene. I went with the mushroom enchiladas and the plate looked okay. It was vegan and not expensive, but not loaded with flavor either. The black beans had no flavor, I’m pretty sure canned mushrooms were used in the enchiladas, and the rice had an odd flavor to it. So skip this place if you go on a vegan tour of Austin! Yes, he seems like a really cool and energetic guy! No problem on the SEO stuff and the social media info was great too, I have a better idea of where I should be spending time. Thanks for doing this great roundup and thanks for the sweet words Christine! I made a great toona salad sandwich after VVC – tastes and looks so much better when combined with other ingredients. Thank you so much for the detailed SEO and marketing tips. Question, you said “get sponshorship from vendors.” Does that mean that I should be approaching them or waiting for them to come to me? Is there a magic number for viewership that they look for before collaborating with bloggers? Sure and both on vendors, we should be approaching them more. Thanks! 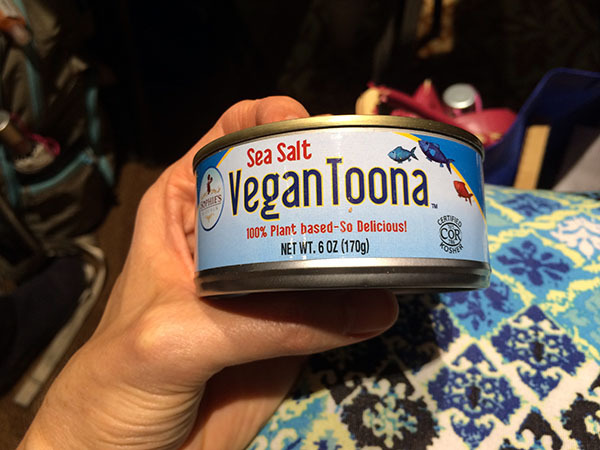 Oh, and that canned “tuna,” not sure about that. I can’t wait to hear your review.